For everyone who has given up hope in finding a rare game at a garage sale or undiscovered gaming treasure at a pawn shop, don't give up hope yet. Rare games can still be found. 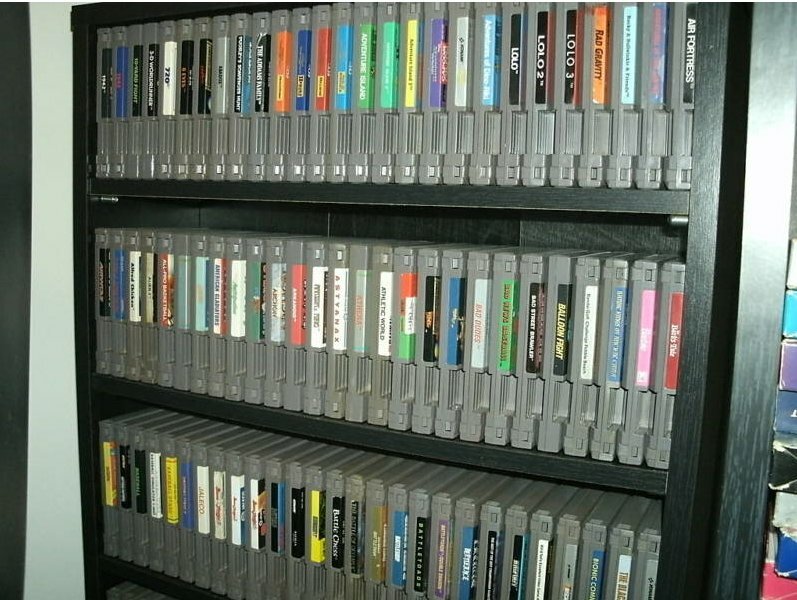 Readers, fellow game collectors, and friends of mine tell me stories every week of finding great games at garage sales, flea markets, pawn shops, thrift stores, etc. 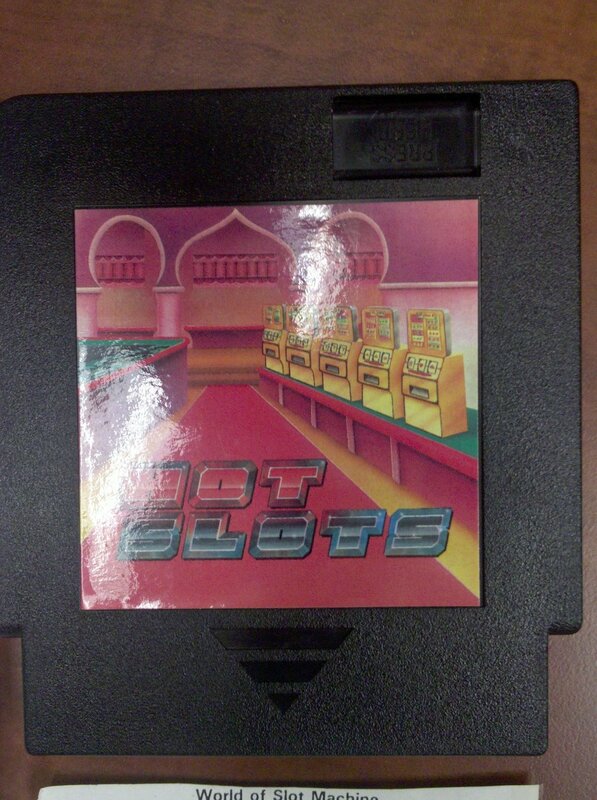 A loyal VGPC user named Andrew Petrie told me he found a boxed copy of Hot Slots at a pawn shop and bought it for $3, the game usually sells for $1,300 if its complete. An acquaintance told me a friend of theirs gave them a copy of NBA 2 Ball, a Playstation demo that was given out at the NBA All-Star game, and there are only a couple known copies in existence. The game has never sold before so who knows how much it is actually worth. A friend of mine finds garage sales every week with bundles of games for $25-30 but have games like Chrono Trigger and Ninja Gaiden Trilogy plus 10 or 15 other games that by themselves sell for $40-60. And there are games that are even more rare that are yet to be found. 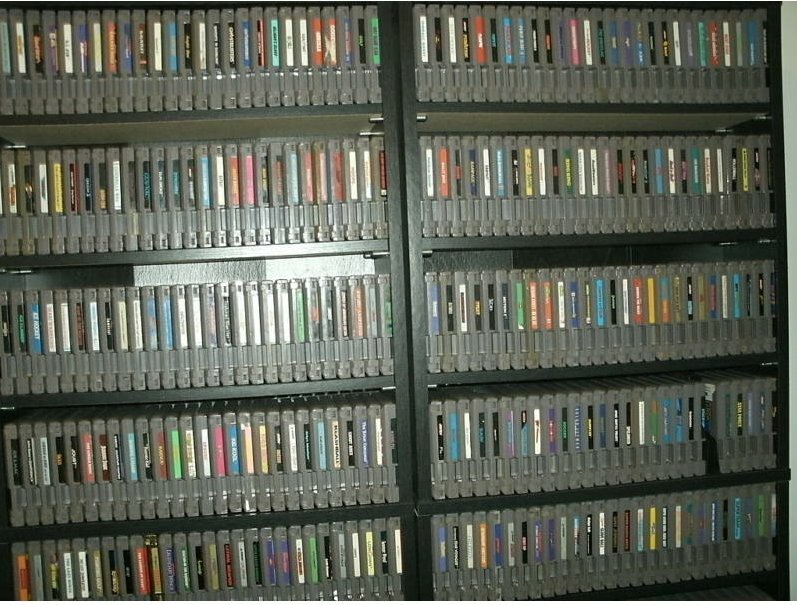 Twenty six Nintendo World Championship Gold cartridges were given away by Nintendo, but only 13 are accounted for. 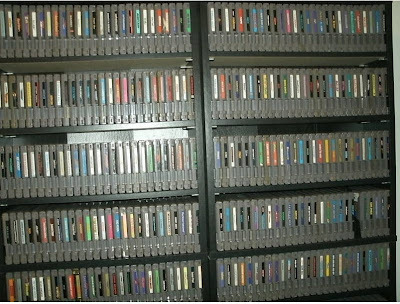 That means there are 13 more cartridges in some attic, garage, pawn shop, yard sale, thrift store, or closet just waiting to be found. 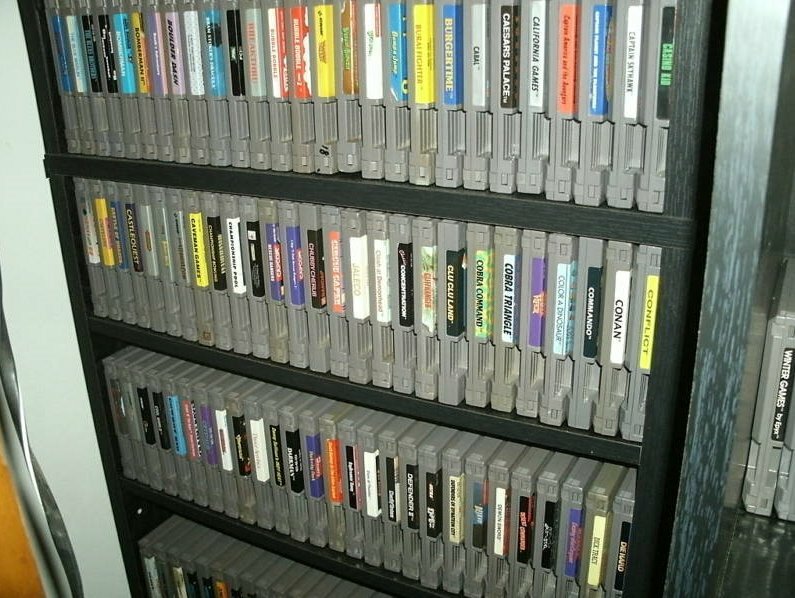 There are hundreds of Nintendo World Championships, Donkey Kong Country Competition cartridges, and other rare games just waiting to be found. Don't give up hope. You might be the next person to email me saying "Guess what I found at Goodwill!" 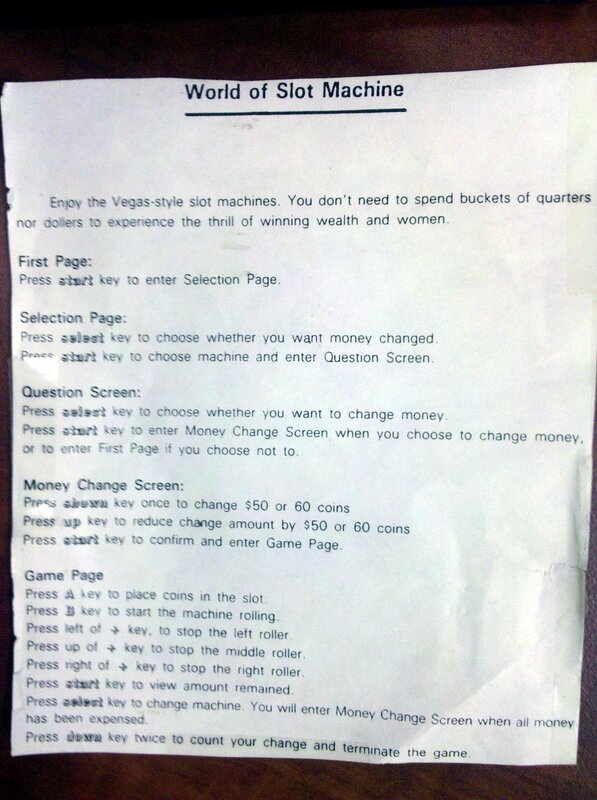 I had a good laugh when I read the email from Andrew about Hot Slots so I thought I would share it with everyone else. 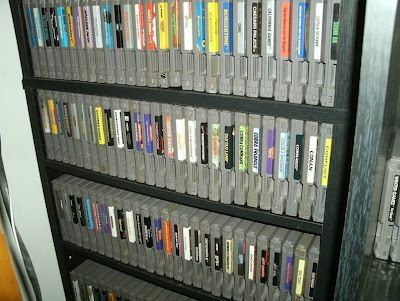 He was looking through the stack of games at his local pawn shop and found the usual $10 sports games that seem to dominate those kinds of shops. 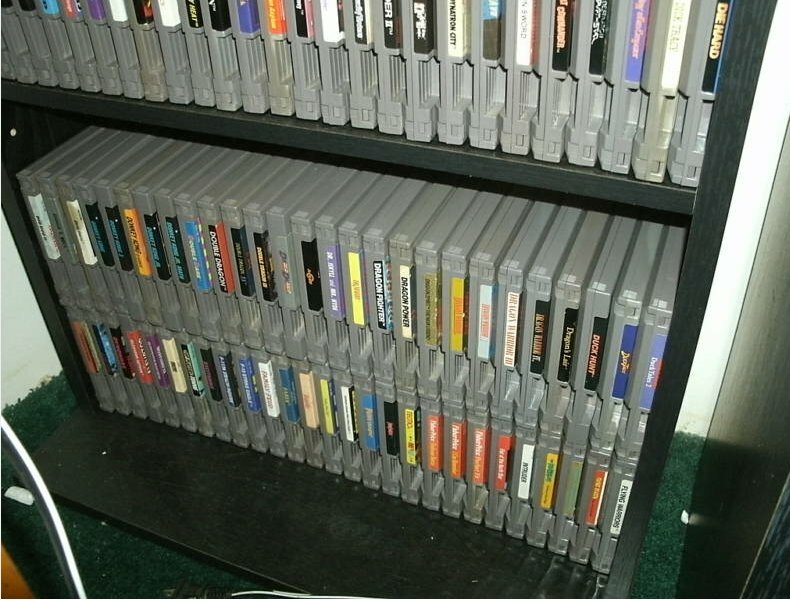 He asked the guy behind the counter if they had any more games somewhere else. The owner said they had another box in the back and brought it out for Andrew to look through. After rummaging through the box a bit he saw what looked like a VHS movie and thought it looked out of place with the other games. When he took it out he saw that it was Hot Slots a rare unlicensed game for NES. The item was listed for $5 but sells for $1,300 to collectors. If I heard it was $5 and is actually worth 260 times that, I would say "deal" and pay the $5 on the spot. Andrew on the other hand decides to negotiate the pawn shop down to $3 instead. Making $1,295 wasn't quite enough for him, he wanted it to be $1,297. 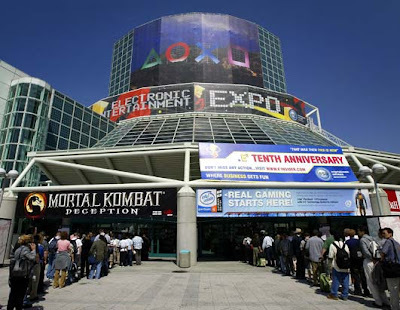 E3 Media Badges - Who Should We See? Two of us at VGPC are going to E3 this year as media. We will be playing all the games, talking to developers, and publishers about their latest creations, and letting our readers know how it all looks. We want to know what developers and publishers you are interested in so we can be sure to setup meetings with them and see everything they have to offer. Not many games have been announced yet, but when we get closer to E3 we will ask everyone again what specific games you are interested in. But until then let us know your favorite publishers and developers? 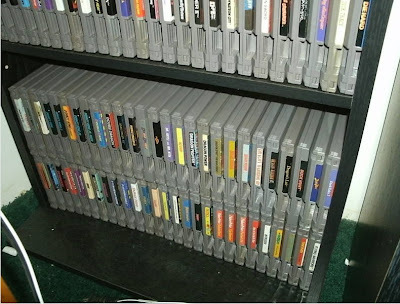 You too can own every licensed NES game (except for Stadium Events) in one fell swoop. Go from having no collection at all to the collection that all your friends will envy. Bidding started at $0.99 but is now above $300. 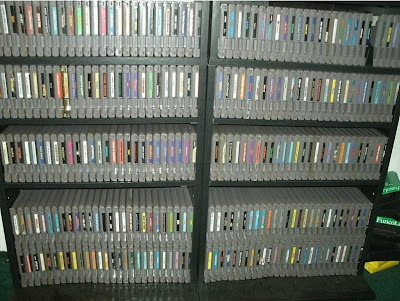 A seller on ebay has listed their entire Nintendo NES collection plus they've alphabetized it for you, that's worth a bit extra I would think. 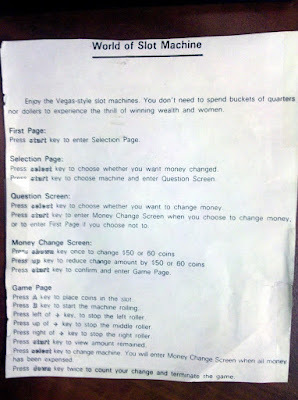 You wouldn't get any unlicensed games like Peek-A-Boo Poker, Hot Slots, Bubble Bath Babes, or Nintendo World Championships. In the past two months the list of the most expensive video games ever sold has changed quit a bit. In February a Stadium Events sold for $41,300 becoming the most expensive video game ever sold. Now there is a new silver medalist on the list, Atari Air Raid. A recent auction for the game sold for $31,600. 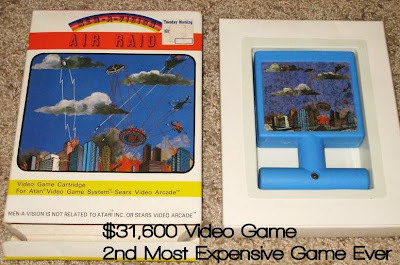 What made this game so expensive compared to other Air Raid sales that have sold for $2,000? This game includes the box for the game, which has never been seen before until now. The seller had to get an expert on AtariAge to verify that it was authentic, but even he could only say it looks authentic because he had never seen the original box before to say with 100% accuracy. A risk with these type of sales is joke bids. Someone places a bid with no intention of paying, but I've contacted the seller and they verified that the buyer is a well know member of AtariAge. It's not some kid in his mom's basement placing a fake bid so the price is legit. One of my favorite video game genres is tactical RPG's. The team building of a role playing game combined with in-depth strategy make it the perfect genre for me. So I was excited to buy Spectral Force Genesis for Nintendo DS when Ignition Software released it March 16th. Much to my disappointment the game doesn't offer much in the way of team or character building and the strategy is only as deep as paper-rock-scissors. 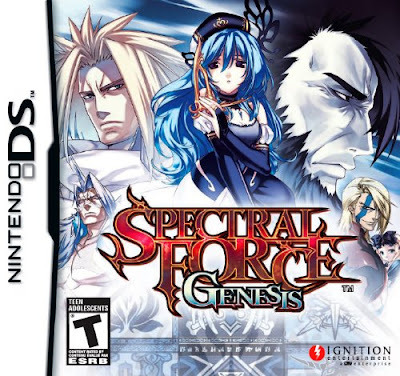 In Spectral Force Genesis you start off controlling one country on a continent and the goal is to conquer the whole continent by destroying every other country in real time battles. You control different generals, build defenses, trade resources, and build a stronger army so you can conquer your neighbors. Spectral Force's gameplay is broken up into different months of the year and each month is either Foreign Affairs, Taxation/Trade, Battle, Human Affairs, or Strategy. This sounds like you have lots of control over your country, your army, and your generals but the first issue with the game was a lack of a good tutorial to explain the details of each mode. The tutorial will explain the very basics for each one, but there is no way to find out details like what do all the stats mean for each General? When you go to build walls you need to choose a general to do the building and it shows you a "Fortif" stat for each general, but the results of building the wall seem to be completely independent of this stat. Knowing what you are doing would help a lot in customizing your country and generals. The Human Affairs mode seemed to be completely useless as far as I could tell. Choosing to "Find Generals" seemed to be a crap shoot and again the stat the game shows on this screen doesn't seem to matter on the success or failure. And changing roles of the generals might be useful but what the different roles are and why someone should be assigned to a different role is never explained. Taxation and Trade were fun because you can buy other currencies at set prices and then sell them next time the trade month came up again. I simply bought the lowest priced currency each month, usually at 0.4 or 0.6, and then waited a couple months to sell it at 1.6 or 2.4. About three years into the game I had the max currency of 9,999. The Strategy section is where you spend the money on building walls or investing in people to increase the number of soldiers you countries make every year. Building walls costs 50 and investing in people is free. Like most RPG's there is a bit of a learning curve initially as you learn what everything does and how to navigate the different windows. But after about 30 minutes I felt very comfortable using the different screens. Finding the data I would want to know was usually not on the screen I needed it to be on though. For example, if I want to decide which country to invade I like to know how strong the other countries are surrounding them. But when you are choosing the country to invade you can't see any stats about countries nearby unless they are touching your borders. To find the right information you have to tap through four other screens to see that data, then go back four more screens to actually invade. This is just one example of issues like this throughout the game. 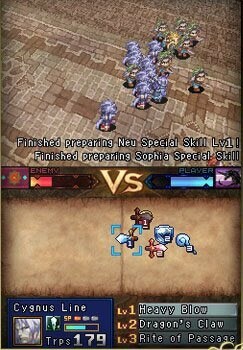 All the battle are in real-time and like manystrategy RPG's they are a modified version of paper-rock-scissors. Each general is either a sword, shield, or magic and sword is good against magic, magic good against shield, and shield good against sword. You choose three generals for each skirmish and can move them around the battlefield to decide who will go were during the battle. If you make advantageous battles by having your magic general attack their shield general you will have a better chance of winning. Each general has special abilities they can use during battles if they take a certain amount of damage. Most of these were fairly powerful magic attacks, but it was disappointing you could only use them if the generals took lots of damage. If you are invading a country and win the battle, you can then attack their defenses. You get three turns to break down the walls and if you are successful you take control of that country. The more soldiers you have going into the siege the more damage you do to the walls. After three battles and three straight losses, I learned the tactics well enough that I didn't even come close to losing another battle the rest of the game (about 15 hours of game play so far). Each general has different stats that determine how strong their are in battle and how good they are at magic and then some other stats that I don't know what they do (again more explanation might have been helpful in the game or in the manual). Plus each general can command up to 400 troops. The number of troops is really the only stat you can control and change throughout the game which was a disappointment. There are no weapons to eqiup, or combinations of generals that are more powerful, and power and intelligence seem to be static throughout the game. After five hours of playing the game I knew I was going to win. I hadn't lost a battle in about 20 battles, I had more troops than any other country, I had maxed out my currency at 9,999, and I was generating 2,000 troops every taxation mode. 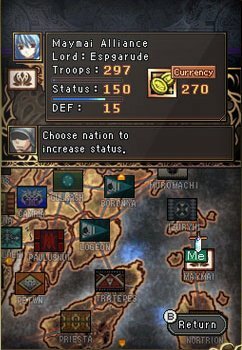 I found myself skipping every mode except battle mode without doing anything, but you can only invade one country per turn. If I wanted to beat the game it was going to take another 90 battles or so which would be 30 game years and another 10 hours of my time. I decided to stop playing instead of going through the motions just to say I had beat it. The game had lots of potential but needed more customization for each battle, more variation to the investments available in your country, and more explanation of the stats the game did have. 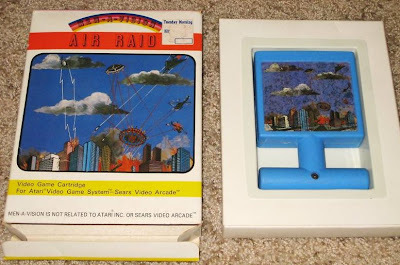 Only 13 Air Raid games exist for the Atari 2600 and one of them is up for auction on ebay right now. The last Air Raid sold in November 2009 for $2,850 and this auction is already up to $1,300. Will it end higher than the previous price? My guess is it will. Rare games seem to be more popular now after the Stadium Events madness. UPDATE: The seller ended this auction and posted it again WITH THE ORIGINAL BOX! The bidding is already up to $4,300. This is the only Air Raid box I have ever seen. I'm not sure if its the only one ever but there are probably only one or two. Here is the new Air Raid auction.